For over a week now, there has been a surprising spring in my step and a blissful smile on my face. Why is that? Is it because of the ongoing one-woman teen soap that is The Ris Low Show? At least it’s easier to follow than the other long-running telenovella earlier this year called The Aware Saga. In that one, there were too many characters to keep track of and let’s just say they weren’t exactly beauty queens. Plus Ris is funnier. Insert your own “boomz” joke here. But no, the erstwhile Miss Singapore World 2009 is not the reason for my good cheer. There’s a word for what I’m feeling – it’s called “schadenfreude”. I can't pronounce it, but according to the Oxford English Dictionary, the word of German of origin means “pleasure derived from the misfortune of others”. In this case, the “others” are the football fans in Singapore and their “misfortune” is SingTel winning the broadcast rights for the English Premier League. Oooh, just typing that line sends a tingle of delight all over my body. I’m going to type it one more time just to get that feeling again. SingTel won the the broadcast rights for the English Premier League. Oooh, there it goes again! Shiok, man! As you may have guessed, I’m not a football fan. And to a non-football fan, football fans can be a rather overbearing lot. Obnoxious, even. This obnoxiousness was abundantly demonstrated in the aftermath of the Singtel news. All that whining. All that over-weaned sense of entitlement. Why so drama? Bipolar, is it? Some fans are even arguing that the Government, in the form of the Media Development Authority, should step in to protect their interests. We pledge ourselves to build a democratic society, based on justice and equality – not on reasonable subscription rates for the sports packages. Even without the latest Singapore population census report on hand, I can safely say there are more non-football fans than football fans (though maybe not in The New Paper newsroom). 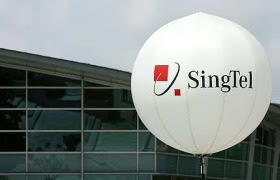 But given the Sturm und Drang (yes, German again) over the SingTel news, you would be forgiven if you thought the vocal diehards outnumbered the quietly apathetic. I suggested to a particularly emo Liverpool fan I work with who lives in Bukit Panjang that he could watch the S-League on TV for free . Oh, that reminds me, please send my best wishes to Dollah Kassim. He’s a reminder of a bygone era when Singaporeans actually cared about football played by Singaporeans - rather than how much we have to pay to watch it played by wealthy foreigners in a faraway land. The Singapore football icon is in the hospital after suffering a heart attack – a couple of days after the SingTel announcement.